Can parents of children suffering from ADHD place their children in a helpful educational environment? Is there such a place anywhere in our city of Joburg? Parents of children diagnosed with ADHD may have experienced a spectrum of denial, anxiety, and even depression. Some studies suggest that ADHD is widely over-diagnosed, or alternatively, misdiagnosed. This only adds to the stress and confusion. In certain cases, children with ADHD have been mistakenly thought to have severe sensory dysfunction or even autism! Parents may experience the rigours of multiple assessments from various specialists. Some parents feel even more confused after following the process than they were at the start. There are many capable, qualified and caring physicians and psychiatrists at work in South Africa today. Even so, there is much debate around the sharp increase in the prescription of Ritalin and other drugs to manage ADHD. Clearly, the solution will not be found in administering any drug alone. Rather, there needs to be a focus on skilful parenting and educational techniques as well as physiological issues. There is good news! It is in the form of a school right here in Johannesburg that is ready to help children and parents who have come up against the affliction of ADHD. Here are three of the many ways in which Japari School can help your family after your child is diagnosed with ADHD. We at Japari School believe in your child. Our holistic approach to your child’s wellness goes beyond merely working through a syllabus. We strive to create a nurturing environment in which your child can feel encouraged to be the best person they can be. We believe our track record speaks for itself. Nothing gives us more pleasure than seeing a child excel. How each child will excel depends on the individual child. It may mean returning to mainstream educational channels. Or, it could be graduating from Japari and moving on to other meaningful pursuits. Over the last two decades, medical science has produced much helpful knowledge of ADHD. Unfortunately, it is true that there has been much misinformation in the media and other channels as well. This has led to some debate and a resulting lack of clarity in parents who are coming to terms with the reality of ADHD. How can you cut through the confusion? 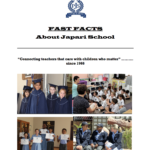 At Japari School, we will ensure that you know where your child is at with ongoing assessments. We have therapists and psychologists from a range of disciplines who can provide unified accurate results. We base assessments on proven testing methods. This empowers you as the parent to help make the best decisions for your child. Classes at Japari School do not exceed a maximum of 15 learners. This is essential for giving the right amount of attention to each child struggling through ADHD. It also for limits distractions. We also are proud of our Individual Education Plans (IEP’s) which we tailor to suit each child. We treat children as individuals, not just names on a register. These plans are revised each term to help the children move toward a bright future. A future in which these children move from battling, to coping, to succeeding in life.